About a month or two ago, at a meeting of The Rock Poster Society, an all-volunteer San Francisco Bay Area-based non-profit devoted to rock-poster art, I met a really nice guy named Pete and his equally charming wife, Pam. I was the new member at that meeting, so I was paying especially close attention in order to get up to speed on the club’s business, but my ears really perked up when Pam casually mentioned that everyone should be sure to watch “Antiques Roadshow” on May 24 because that’s when Pete’s segment was slated to air. Pete and Pam, it turned out, had been to a “Roadshow” taping in San Jose, and he had brought along something that was good enough to air. After the meeting, I introduced myself and asked Pete if he’d be willing to speak to Collectors Weekly about his “Roadshow” experience. He readily agreed. Like everyone else who gets into a summer “Roadshow” taping, Pete and Pam had applied for free tickets the previous spring. Also like everyone else, they didn’t find out that they were going to the show until their tickets arrived in the mail about a month before the event. A retired foreman for a landscape crew with the city of San Jose, Pete wasn’t sure what he was going to bring for appraisal until about a week before the taping. 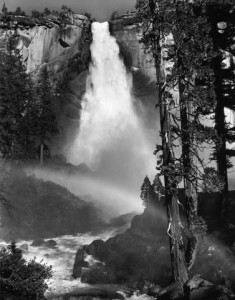 The story of Pete’s Ansel Adams photographs is one of those classic head shakers. He was in the right place at the right time, and he knew what he was looking at. The year was 1971. “I was 18 and had graduated from high school early. I had a job up in Yosemite National Park, but I came home one weekend to stock up on music at Tower Records. While I was home, I went to the AC Flea Market in Castro Valley, which was within walking distance of my parents’ house. “There was this one seller who had had a black-and-white photo on top of his table of stuff. I asked him who took the photo. I knew, but it was funny because he started acting like he didn’t know what it was. I think he even claimed that his brother-in-law or uncle had taken it. 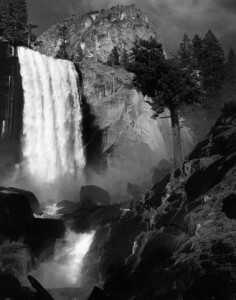 “I took photography in high school, so we had learned all about Ansel Adams. He was an icon. And when I was working in Yosemite, I would go into the studio he and his wife had there and see his stuff. At the time, his prints sold for about $100 apiece. I couldn’t afford that, but I knew that the print at the flea market, which was a bit scuffed up, was worth $100 brand new. “At one point the guy pulled out two more, so now there were three. When I asked him what he was asking, he named his price: $1.65, which just seemed like such an off-the-wall number to me. 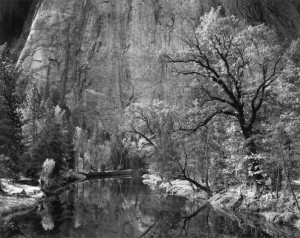 Each one was mounted on board with Ansel Adams’s signature on the front. On the back was the Ansel Adams stamp with his address in Carmel, the negative number, and the title of the print. They were definitely real. Daile Kaplan of Swann Auction Galleries was sitting behind the Prints table on the “Antiques Roadshow” set when Pete finally made it to the front of the line. Enter Marsha Bemko, who Pete remembers as being “followed at all times by no less than three people with clipboards.” A hands-on producer, Bemko wanted to hear Pete’s story from his own mouth (“Wow, that’s a good story,” he recalls her saying), but she also wanted to know about his t-shirt. Pete’s segment was eventually taped and even though he knew what he had, he was still very surprised by the valuation (to find out what it was, tune in on May 24). In the end, Pete’s glad he brought his Ansel Adams prints, but when I asked him if he had any words of wisdom for people who have received tickets to a “Roadshow” taping and are hoping to get their moment on TV, his advice was a bit more practical. I’m a regular watcher of the Antique show and found this story interesting and encouraging but you have to really want to be on the show with something out of the ordinary to make it. Most people don’t want to take so much time waiting and waiting and then the makeup!!! I picked up an old Tricycle. It was patented in 1876 in Germany? Front wheel is wooden with missing back wheels and has wooden Handlebars. There is more printed on it but a little difficult to make out. Haven’t come across much about it during my research. Also it does not have a peddling system, was pushed I say. The frame seems to be iron the seat as well with a leather strap. The frame has holders for the placement of the feet. There is still some red orange paint on the front wooden wheel. The wooden handle bars are placed in the center. I have no clue what its value may be… found it at the dump! “ ” Pyrex has affected our national memory.